Metal fabrication shops where workers build structures or parts by cutting, bending, and assembling metal and metal parts are dangerous workplaces filled with the potential of serious injuries or death to workers. Employees must work with heavy-duty equipment, numerous power tools, and toxic substances. When employers do not make safety a main concern—often overlooked in the rush to get products assembled—workers pay the price when they are injured and suffer long-term injuries that could prevent them from doing their job. While workers can file workers’ compensation claims, they often must fight to get the benefits they deserve. Lack of training. When workers are not trained in the proper use of the tools they must use on a daily basis and the safety rules for the use of toxic substances, accidents can happen or a worker can suffer a preventable occupational illness. Sadly, safety and training are not the main concerns for many employers. Machine guarding problems. Employers must limit access to areas of the shop where dangerous equipment is being used with guardrails or other barriers, so only workers trained in use of the tools and machinery have access to them. In addition, any heavy machinery or power tools must have safety guards protecting workers from unsafe parts. When improper modifications are made to tools or safety guards or untrained workers remove them, many preventable accidents result. Electrical problems. Improper grounding, extension cords, guarding, and wiring problems cause many workers to be electrocuted or be exposed to dangerous low currents of electricity—that can also cause serious injuries or death. Workers using electric power tools and equipment or those who are responsible for handling electrical issues are most at risk of these injuries that happen on a daily basis. Lack of personal protective equipment. When employers fail to provide personal protective equipment, or what is provided is inadequate, workers can be injured or exposed to harmful substances that they could have been protected from. Respirators are essential to protect them from inhaling airborne chemicals, toxic gases, dust, such as deadly silica, and metal fumes from welding. Metal fabricators also need face and eye protection to prevent injuries from flying particles, molten metals, liquid chemicals, chemical gases, and infectious materials. The lack of hand, head, and foot protective equipment can also lead to accidents. Toxic substances. When employers fail to implement safety procedures for the handling of toxic and hazardous substances like lead, asbestos, formaldehyde, arsenic, and radiation, workers can be exposed to these substances on a daily basis, causing them to develop occupational cancers or debilitating respiratory problems. Fall prevention. Floors and other work areas, like wall openings, scaffolding, ladders, and rotating work platforms can create a dangerous slip and fall or fall risks for workers when safety measures are not utilized. Material handling. Workers must load, unload, store, and move many heavy materials and chemicals as part of their day-to-day duties and can injure themselves when improper lifting methods are used. The repetitive nature of these duties can also harm workers. Fires and burns. Due to the toxic gases, chemicals, and molten metals in metal fabrication shops, fires and burns are a serious risk for workers in these shops—especially if fire and burn precautions are not taken. 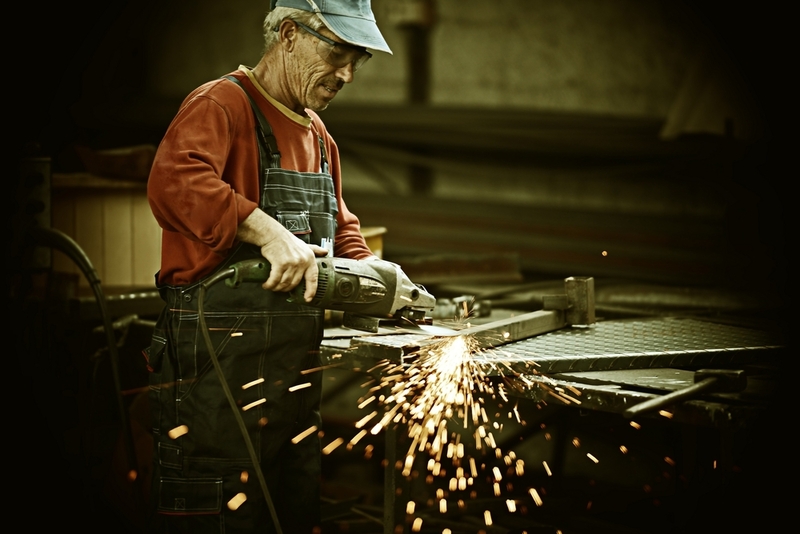 If you are injured at your metal fabrication job, you could be off work for months or longer or become permanently disabled. You may no longer be able to perform the duties of your physically demanding job and could need vocational training to start a new career. Fortunately, workers’ compensation benefits can help you by paying your medical bills and lost wages. However, you may have to fight to receive the compensation you deserve, especially if your claim is for a substantial sum due to the seriousness of your injury. That’s why you need an experienced workers’ compensation attorney. Start an online chat with me today to schedule a free, no-obligation consultation to learn how I can assist you.